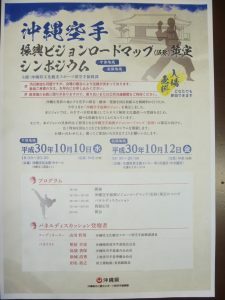 Two symposiums on the Okinawa Karate promotion vision road map formulation will be held in October. 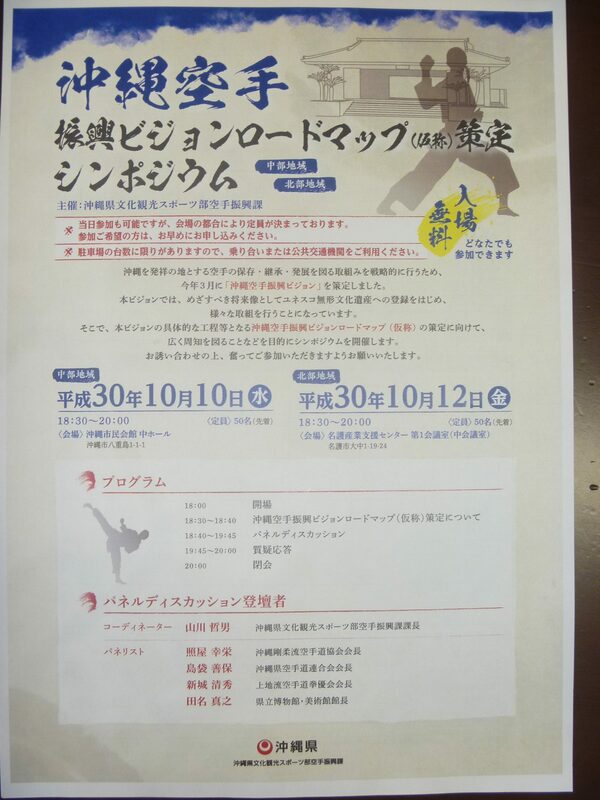 The first symposium will be on October 10th, at the Okinawa Citizen Hall. Time is 18:30-20:00. The 2nd event will be on October 12th, at the Nago Industrial Support Center. Time is 18:30-20:00. Copyright © 2019 Okinawa Dentou Karate Shinkoukai All Rights Reserved.